Today on the Doc On The Run Podcast we’re talking about peroneus brevis tendinitis and what runners can do about it. Before we get started I want to mention that at the bottom of the show notes page for this particular episode I added a video that will show you how to decrease the stress and strain on the peroneus brevis tendon, just by running on the right side of the road. The first question to ask yourself when you have peroneus brevis tendinitis is what’s your biggest fear? Are you afraid you won’t run again? Are you afraid that you’re going have to take so much time off that you’re going to miss your next race. Are you afraid you’re just going to lose all of your fitness while you sit around waiting for this thing to heal? If you can figure out what your biggest concern is, you can figure out a way to work around it. If you understand how peroneus brevis tendinitis begins, you will be better equipped to develop strategies to heal, maintain your fitness and continue running. The two peroneal tendons are on outside of your ankle. They curve down behind the back of the fibula bone and head out to the foot. When they go around that curve behind the fibula bone there’s a lot of friction. To reduce that friction the two tendons are surrounded by a tendon sheath. Once the two peroneal tendons exit that tendon sheath they separate and change direction. If you look down at your foot there’s a bump on the outside of your foot halfway between your little toe joint and your heel. That bump is the base of the fifth metatarsal bone. Doctors call that bump of bone the “styloid process.” The peroneus brevis tendon attaches to that bump at the base of the fifth metatarsal bone. If you’re standing up and you look down at your feet, one thing you notice about that bump is that is the furthest point on the outside of the mid-foot. That provides a lot of leverage for a tendon to pull and stabilize your foot. The peroneus brevis tendon is that stabilizer. Stand up and you put your feet together. Look down at your feet and lift your little toe joints up off the ground. You’ll immediately noticed that bump of bone, the styloid process, lifts up away from the ground. You’ll probably also notice that motion pushes the inside of your ankle joints together. When you do this, if you look at the outside of your ankle joint you may notice a tendon bowstringing and protruding underneath the skin just at the back of the fibula bone. That protruding tendon is the peroneus brevis tendon. What Causes Peroneus Brevis Tendinitis in Runners? Peroneal tendinitis is inflammation within the tendon itself. There are a couple of different ways runners strain the peroneus brevis tendon to cause the inflammation. The first way is by rolling the ankle. Even if it’s only a minor ankle sprain you can set off a case of peroneus brevis tendinitis. Because the peroneus brevis tendon is the one that lifts the outside of your foot up off of the ground, as we demonstrated earlier, it is the only one capable of pulling your foot back underneath you when you start to roll your ankle. 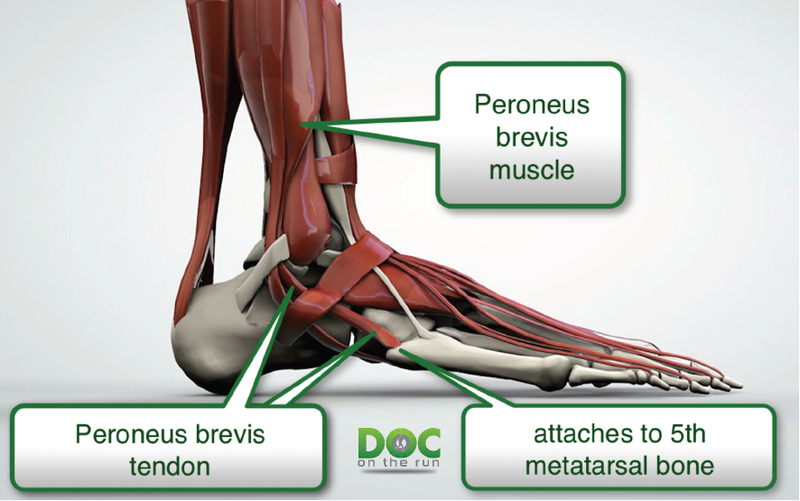 So if you’re running on an uneven trail and your ankle starts to roll over, the peroneus brevis tendon can become strained when it tries to pull your foot back underneath you and prevent you from falling down. This actually happened one of my friends recently when he was playing soccer with his kids. He started to roll his ankle in the grass and his peroneus brevis tendon fired so hard that it actually ripped off the end of his fifth metatarsal bone. In most runners, they don’t actually break the bone but they can really irritate the tendon. More often than not that irritation isn’t truly the tendon but it’s the tendon sheath surrounding the tendon. That is what we call “tenosynovitis.” We covered that in an earlier discussion. Peroneal tendinitis is inflammation within the tendon itself. That may sound like a minor detail to you but I can tell you there’s a big difference in terms of treatment and recovery. All of the treatments that will help peroneal tenosynovitis will also help peroneal tendinitis. Peroneal tendinitis is more serious. It just takes longer to calm down when you have tendinitis. The other way runners get irritation and inflammation of the peroneus brevis tendon is from overuse. Many doctors will tell you that running is overuse. I wholeheartedly disagree with this notion. When I think of overuse of the peroneus brevis tendon in runners, I just think about how too much force gets applied to that particular tendon. All an overuse injury is, is the circumstance in which you apply more stress to one particular anatomic structure then it can tolerate. That, is an overuse injury. It’s not the distance. It’s the position of the foot. It can also be related to the fatigue of the muscle that attaches to the tendon. If you are running on an unstable surface, you are running on a sloped surface or you are running in unstable shoes and your tendon has to fire repeatedly to stabilize your foot and keep it centered underneath you, eventually the muscle begins to fatigue. The muscle contracts and dynamically absorbs force. It distributes that force over a longer period of time and in that way decreases the load. But when the muscle fatigues it can’t contract and dynamically absorb forces very well. So instead, the tendon starts to get shock loaded. That shock loading of the tendon can strain the tendon and result in tendinitis. If you run on loose sand your foot will skate out from under you. Your peroneus brevis tendon has to work harder to keep your foot stable. If you run along a sloped surface, the downhill foot is “everted,” or leaning over in that position when you’re about to roll your ankle. The peroneus brevis tendon is stretched out. It has to work harder to keep you from rolling your ankle. 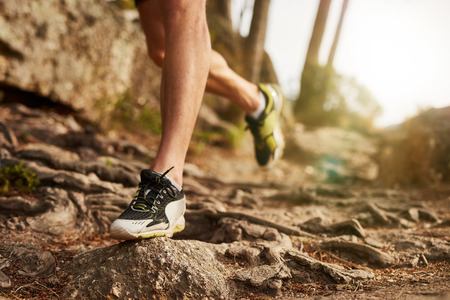 If you run in unstable minimalist shoes, or any shoes that are not preventing any of that twisting side to side motion, the peroneus brevis tendon has to provide that stability that is missing from the shoe. All of these are ways runners commonly put themselves at risk of overuse injuries to the peroneus brevis tendon. That overuse may not come from one single work out. It may be a series of workouts that you do. If you apply too much stress to the peroneus brevis tendon, and then you stress it again before it has fully recovered from the previous workout, you get inflammation within the tendon. The tendons themselves are basically cables made up of collagen bundles. They don’t have great blood-flow. And they’re very dense. So when you get inflammatory fluid trapped within the tendon itself it takes longer to get rid of it. The very first step is to decrease the inflammation. We discussed all of that in the episode on peroneal tenosynovitis. If you go to the show notes page for this particular episode we will have a link to take you directly there. Do everything that will decrease the inflammation for peroneal tenosynovitis and it will help peroneal tendinitis. After you start decreasing the inflammatory component of the problem you have to also decrease the stress applied to the tendon itself. Decrease the amount of work the tendon has to do to stabilize your foot. Just think about the ways runners stress and strain the tendon, and avoid them. You have to stabilize the foot to decrease the stress and strain to the peroneus brevis tendon. The most effective way to protect the tendon is with a cast. The second-best way is a fracture walking boot. 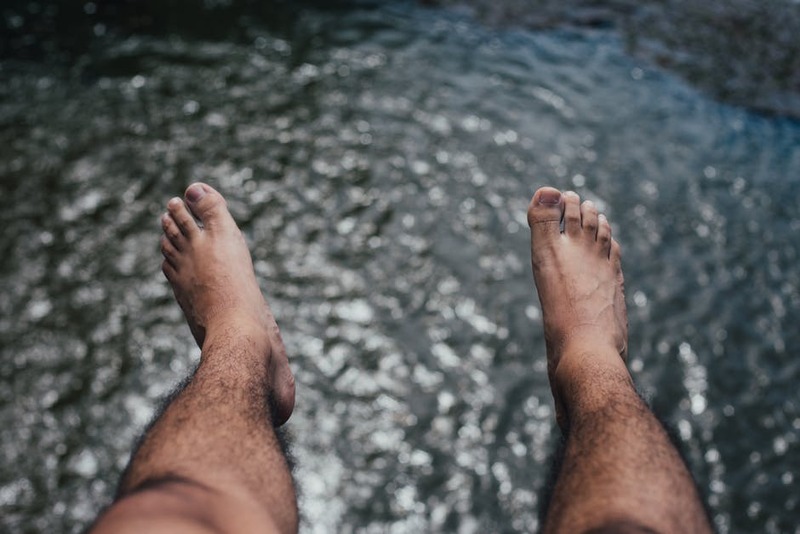 Both of these commonly recommended treatments will completely stabilize the foot, the ankle and decrease stress and strain to the peroneus brevis tendon by holding it completely still. Although a fracture walking boot or a cast will certainly protect the tendon you don’t always have to use something so drastic. The basic idea is you want to try to use something that is more supportive than the shoes you were wearing when you sustained the injury. You don’t have to completely immobilize it in most cases. You just want to make sure they provide enough support to calm the tendon down. One simple test you can use when trying to decide which shoes may help you the most is to check for torsional stability. To check the shoe, hold it in both hands with your left hand around the heel and the right hand underneath the sole of the shoe under the toe box. Twist your hands in opposite directions. See how far you can bend and twist the sole of shoe. If it’s easy to twist the shoe out of shape, the shoe does not have much torsional stability. However if it’s fairly stiff and it’s very difficult to twist the sole of the shoe out of shape, you’ll have a stable platform under your foot when you walk or run. Add additional stability with a shoe to reduce the amount of work your peroneus brevis tendon has to do to stabilize you. If you actually apply Kinesio tape or athletic tape to the ankle, you can stabilize the foot. This is one of the oldest methods of reducing stress and strain to the ankle ligaments and the tendons that support the ankle, like the peroneus brevis tendon. Remember the name of the game is adding stability so that your tendon doesn’t have to stabilize you. If you walk or run on unstable surfaces like sand, dirt, gravel, or grass the tendon has to do more work. Run on flat, stable, predictable surfaces instead. 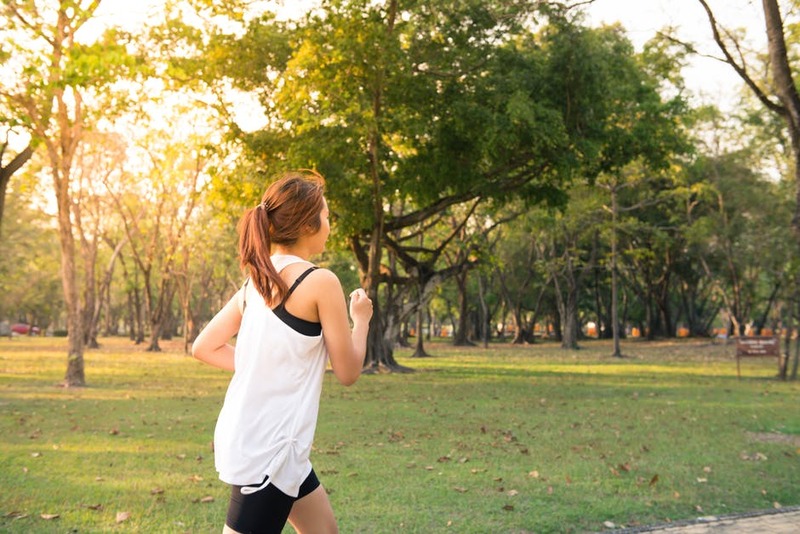 Believe it or not running on one side of the street versus the other side of the street can make a big difference in increasing or decreasing the stress and strain to the peroneus brevis tendon. 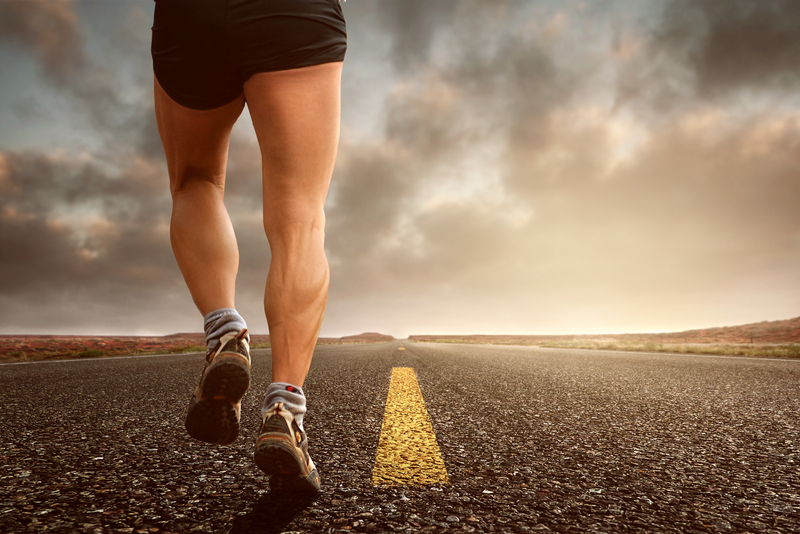 One of the most common causes of overuse of the tendon happens to runners who run in the road facing traffic. If you’re running on the left side of the road facing the cars coming at you, so you don’t get run over by some idiot sending a text message, your left foot is basically downhill. The road slopes toward the gutter so the slope of the road puts your left foot in a position that increases the stretch, stress and strain of the left peroneus brevis tendon. But the good news is if you simply switch sides of the road and you’re running with your back to traffic the road applies the opposite forces to your foot. So you can use the slope of the road to your advantage to decrease the stress applied to the peroneus brevis tendon when you are recovering. Make sure you check out the video I created and added at the bottom of the show notes page for this particular episode. It will show you exactly how running on the right side of the road can make a difference. 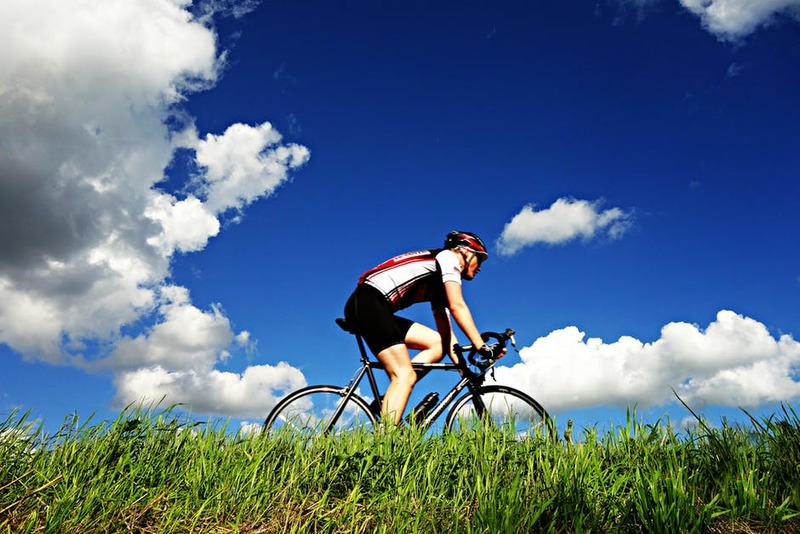 Just because your peroneus brevis tendon is injured, doesn’t mean you have to stop all activity. You just don’t want to do any activity that aggravates the tendon. Many runners can ride on a recumbent exercise bike even if they’re wearing a fracture walking boot. You can still go to the gym and do other exercises. You can still do core work. You can probably swim. You might be a lot to do deep water running. You might even be able to run on an Alter-G treadmill. The key is to try exercises and make sure it doesn’t cause any discomfort. What I mean by that is that you can’t have any soreness after the activity. It probably won’t hurt why you’re exercising. Pick one exercise and try it. Maybe it’s cycling. If so, go for a short bike ride. Then, wait and see how you feel that evening. If it’s not sore the evening after you ride the bike that’s a good sign. If you wake up the next morning and you have no soreness at all the peroneus brevis tendon, you can safely assume it was safe to do that amount of exercise. Take a day off. Then repeat that same exercise but go a little bit further. Keep experimenting and adding other exercises so you can maintain your running fitness. Try different exercises. Focus on what works. You will need to search for and discover the exercises that will keep you moving, keep your ankle pliable and help you maintain as much fitness is possible if you really want to get back to running as quickly as possible. Runners often ask me about whether or not they should get an MRI. If you simply want to figure out whether or not you have inflammation within the tendon (tendinitis) or if instead you only have inflammation around the tendon, within the tendon sheath (tenosynovitis) an MRI can be extremely useful. With this particular tendon there’re two reasons you may not want to get an MRI. The first thing you have to understand is that if you’re in early stages of this problem there will probably be so much inflammation that it’s very difficult to tell the true extent of the problem. So the radiologist may actually imply that your problem is worse than it really is. That can send you into an unnecessary state of frustration and despair. The second problem with an MRI is that the peroneus brevis tendon curves at an angle as it moves from your ankle into your foot. There is an unfortunate apparition that can actually happen on an MRI that makes it look like there is a split or a tear in the tendon. In some cases the tendon tear isn’t really there. It just looks like it’s there on the MRI. One day when I was giving a lecture at a medical conference and I was talking about how I believe the MRI can create this fake tear in the tendon. One of most prominent foot and ankle surgeons in the entire country, who was the previous president of the American College of Foot and Ankle Surgeons actually shared a story. “We had a patient who was having peroneus brevis tendon pain. The patient wasn’t improving. We ordered an MRI and we could clearly see a longitudinal split (which is just a long tear) in the peroneus brevis tendon. Of course, we told the patient she had to have surgery. So there we are in the operating room. I was supervising a team of residents. We had made an incision. We dissected down to the peroneal tendons. And after we opened up the tendon sheath and looked at the peroneus brevis tendon, it was perfect. No tear. Nothing. I’m not going to suggest that you necessarily have to get two MRI’s before you agree to surgery. But if anyone recommends surgery on your peroneus brevis you should definitely get a second opinion first! If you do all of those treatments and you get better quickly, then it’s probably just a simple case of peroneal tenosynovitis. But if you start getting better and then your recovery slows down you more likely have a case of peroneal tendinitis. Tendinitis will still often continue to improve if you keep doing those treatments. But it will just take a little bit longer. See you have to be patient. If you’re doing all the stuff that should decrease the inflammation and take the stress and strain off of the tendon but you’re not improving you may want to get a second opinion. If you plateau and you are no longer improving. 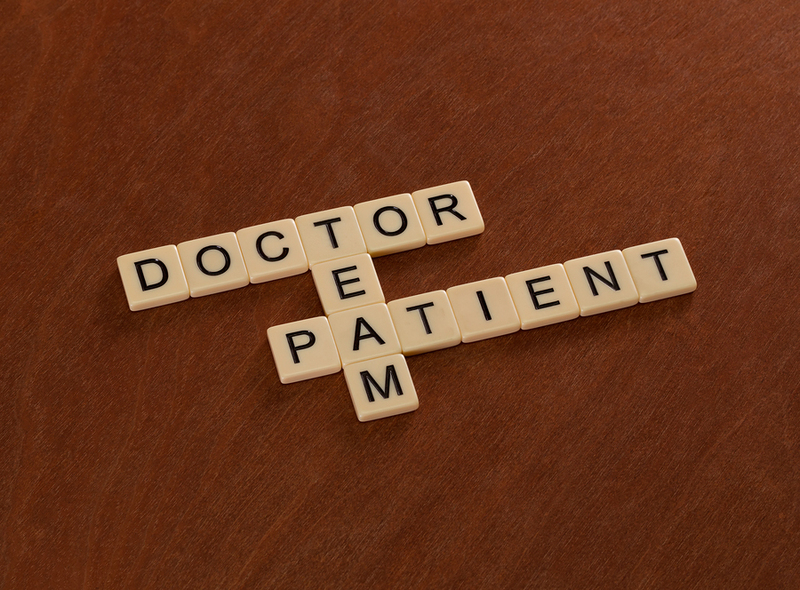 If you are worried you might have had a misdiagnosis. If your doctor tells you to simply stop running and stop exercising. This may sound obvious but the only way to make sure peroneus brevis tendinitis doesn’t come back is to not stress the tendon in the same way that caused the initial injury. Don’t run on loose surfaces. Don’t run on the same side of the road all the time. Alternate your shoes and vary your footwear so you’re not always subjecting the tendon to the same sort of stresses. And above all else, once the inflammation goes away, start strengthening the peroneus brevis muscle so it won’t fatigue as quickly. A strong peroneus brevis muscle will be way less prone to re-injury because it will be able to work harder, for much longer before it fatigues. There are many different exercises which can help you strengthen the peroneus brevis. If the peroneus brevis is particularly weak because you were immobilized in a cast or fracture walking boot, you can actually start strengthening it just by doing the ABC exercises. Just sit on a couch, on the floor or in bed and then move your big toe around in the air as if you’re trying to write letters in the air. Trace your big toe in the air to write the letter A. Then trace your big toe in the air to write the letter B, then C, etc. all the way to Z. All of that motion fires the peroneus brevis. 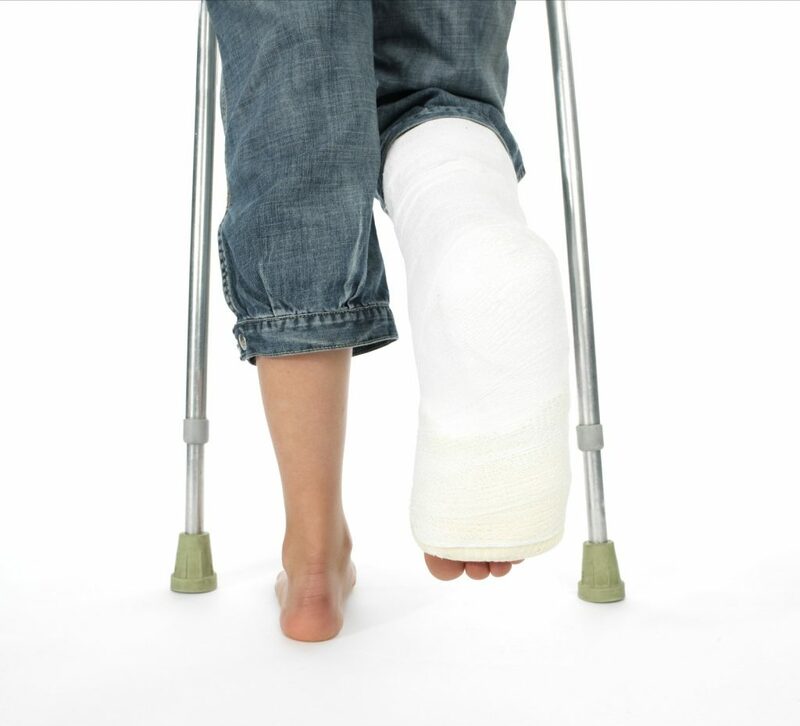 It may sound silly to you, the idea of doing the ABC routine and treating it as exercise, but if you have been immobilized in a cast or in a fracture walking boot you might actually be surprised to discover that the muscles in your leg are actually sore the day after you do this routine. This is obviously a very low risk way to start the rehabilitation process. Another exercise is to use a big rubber band called a theraband to strengthen the peroneus brevis. All you have to do is tie it in the loop. Hook one end of the loop around a heavy coffee table. Stick your foot inside the theraband loop so that it wraps around the little toe joint. Then put your heel on the floor and twist your foot outward away from the coffee table. You can also do isometric exercises. You can do these even when you’re sitting at your desk, working at a computer or suffering through some boring meeting. All you have to do is sit with your feet on the floor and straighten your legs out straight in front of you. Cross your legs and then put your little toe joints together. Squeeze them together as if you were squishing a grape between your little toe joints. This isometric exercise does a great job of selectively firing and strengthening the peroneus brevis muscles. You can also use a wobble board to deliberately strengthen all of the muscles supporting the ankle, including the peroneus brevis. The bottom line with treating peroneal tendon injuries is to make sure that you know exactly what the problem is. Then you want to treat it as quickly as possible. You also want to make sure you maintain as much activity while you continue to heal. Reduce the inflammation first. Decrease the stress and strain on the tendon but don’t just lock yourself up in a boot for weeks if you don’t really need it. Don’t stop running unless it is really required to heal. Be creative. Think about how you can use different running shoes and different surfaces to decrease the stress and strain on the tendon while you continue to maintain your fitness. Figure out what’s best for you. As a runner, you really have to make sure you’re getting the most appropriate treatment for you, with your potential to heal, with your particularly injury and in a way that will help you maintain your fitness and keep on track with your running goals.